To check whether the Xbox Live service is up and running, go to Xbox Live service status. This error can occur if your Xbox Live account or billing information is not up to date. To check your information, see How to change or update Xbox Live billing account information. The system cache contains temporary files that are used by the Xbox 360 console. Deleting your profile and clearing the system cache may fix this problem. Clear your Xbox 360 system cache. Note Not seeing Download Profile? This means that you’re signed in under another profile. Press X to sign out, confirm and then select Download Profile. Enter the Microsoft account that’s associated with your Xbox Live profile. If you don’t know your account email address or password, see Find your Microsoft account email address or password. Note If your account is an Xbox Live child account, the parent’s Microsoft account information must be entered to download the profile. If you use external storage on your console, select the storage device to which you want to save the profile. If you don’t use external storage, your profile will immediately begin downloading. Important If you downloaded your profile to another console and you chose Remember Password, you have the option to remotely remove the password so that your profile can’t be accessed by someone else on the other console. To learn how, see Manage your sign-in preferences on your Xbox 360 console. Check the console’s Internet connection to your router or modem. 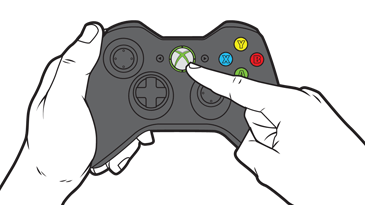 If you think your console is connected to the Internet correctly, see Troubleshoot your Xbox 360 connection to Xbox Live or the Xbox 360 Connection Error Solution. If you get the error when you try to access content that you previously downloaded, also try the solutions at Can’t play or use previously downloaded content on Xbox 360. Would you like to contact Support regarding the "Error 83820070 occurs when you try to connect to Xbox Live on Xbox 360" issue you were reading about or a different issue?